DPS supports faculty members as they transform courses with digital methods, but also encourages them to learn from each other. By providing workshops, trainings, and other professional development opportunities, we endeavor to bring together a community of faculty that strives to foster digital innovations in their teaching and research in a collaborative and supportive environment. We completed the first BlendDLA faculty development cohort in Spring ’18, and we are looking forward to a new cohort in 2019. 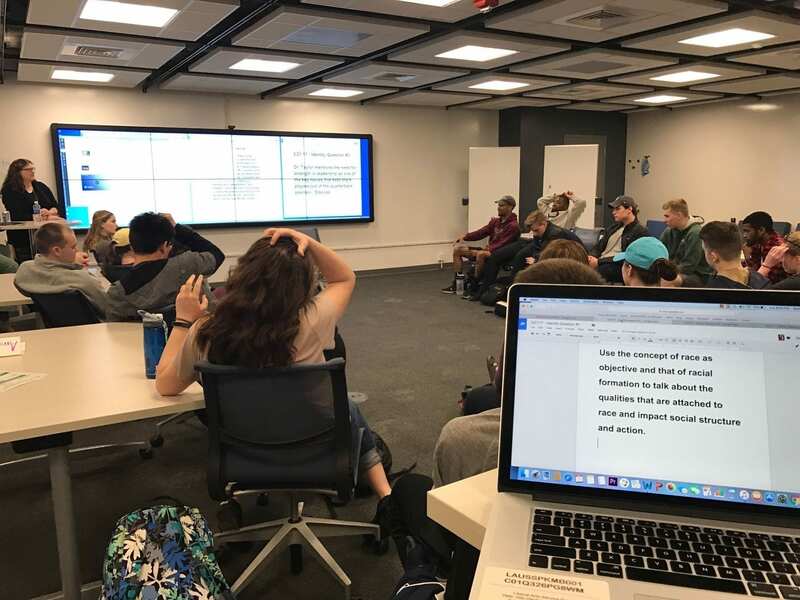 The DPS office facilitates partnerships and collaborations within the College of the Liberal Arts departments and across Penn State in support of the Digital Liberal Arts Initiative (DLAi). We are bringing together resources from the Penn State Digital Humanities Lab at Behrend campus, the University Libraries, and Teaching and Learning with Technology to create innovative new research and scholarship opportunities for the College of the Liberal Arts students and faculty. 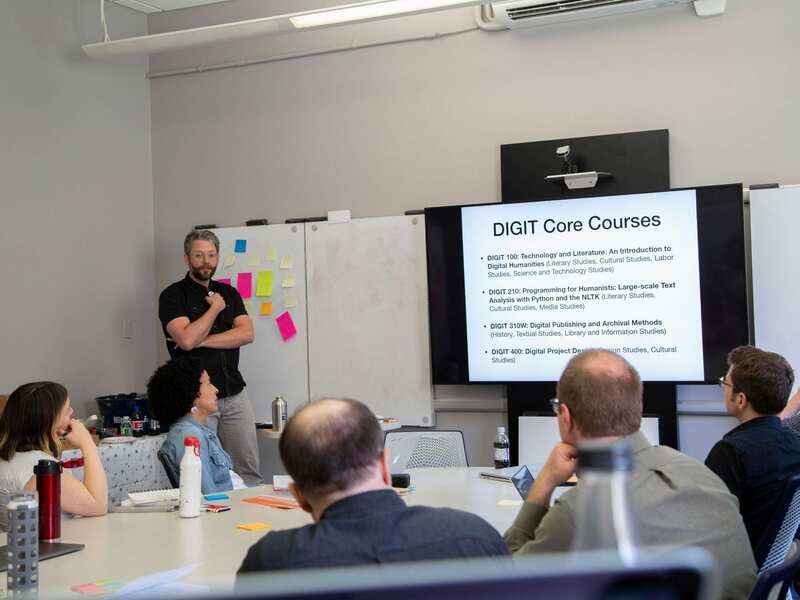 We have been working closely with the History department and the DIGIT program to launch an undergraduate minor built around core DH concepts. Coming in 2020. DPS specializes in creating unique teaching and learning opportunities for College of the Liberal Arts faculty and students. Interdisciplinary, timely, challenging, and sometimes controversial, our experimental special topics courses are designed to offer students the best of a Liberal Arts education. DPS helps to ensure that courses make full use of the technology resources available at Penn State to create opportunities for students to learn from faculty in departments across the college, engage with the Alumni network, and explore diverse perspectives on topical issues. The DPS office, in collaboration with the College of the Liberal Arts departments, awards a Teaching With Technology certificate to faculty members who have successfully demonstrated the innovative use of technology in supporting teaching strategies that create optimal learning environments for their students. This certificate program is a continuation of the original TWT program created and managed by Teaching and Learning with Technology, and is open to all College of the Liberal Arts faculty and graduate students. Visit the TWTLA website to learn more about the program. DPS is the College’s dedicated team for assisting with Canvas, Kaltura and other educational technology. During the Canvas transition, our office served as the liaison between faculty, IT, and Instructure. We helped faculty migrate courses into the new LMS through training workshops, one-on-one consultations, and drop-in help sessions. With the university-wide adoption of Zoom and Kaltura, we are increasing the level of service we provide. Contact us to schedule a consultation appointment or request a workshop for your department. 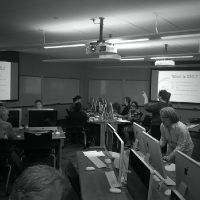 WE ARE pedagogy and technology-in-the-classroom partners for College of the Liberal Arts residential faculty and staff. We provide a space for faculty and staff to experiment with student-centered learning methods using innovative technology as tools. We promote a collaborative and data-driven process that informs and drives a 21st century education. We strive to reinforce connections among coursework and real-world settings so that students become digitally fluent critical thinkers, big doers, and makers. We design and develop hybrid and online courses aligned with strategic goals for resident students. We also offer one-on-one consultation sessions for faculty members looking to add new technologies to their courses, or to make the best use of a technology they are already using. We leverage multimedia technology to engage students and create memorable learning experiences. 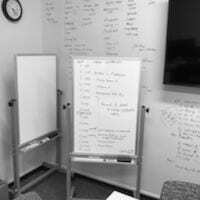 We also help faculty and students to amplify the stories of their significant scholarly accomplishments. We organize trainings and workshops to develop expertise, build community, and share best practices in excellent digital pedagogy and scholarship. 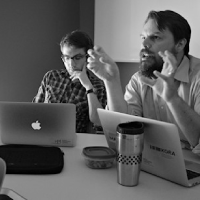 We collaborate with faculty to pilot new digital tools and research experimental course formats. We can help with all phases of project design, implementation, and evaluation, including sourcing funds and other resources. We partner with offices and organizations within the College of the Liberal Arts and across the university to share resources and develop innovative learning experiences. 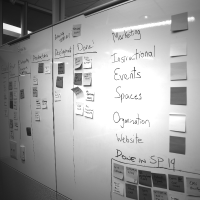 Our office will devote all of its resources to help you completely design or redesign a course or program. We will partner with you to brainstorm innovative technological and pedagogical changes, assist with project management, and offer support as the course is built and then goes live. We can also help to plan research around your teaching and technology strategies, or incorporate student research projects into your course. Our office will assist you as you revise a course you are already teaching. This revision is a focused effort to examine and redesign key elements of your course such as assignments, content presentation, objectives, and assessments. We will work with you to revisit current content and teaching strategies, identify and experiment with new approaches, and then guide you through implementing and evaluating changes. Our office will help you with a small-scale design or technology project to improve a specific area of your course. Possibilities include such services as redesigning your Canvas setup, developing a companion website for your course, revising/creating one assignment, incorporating an instructional video or other new multimedia materials, and reviewing your course for accessibility and usability. Have specific questions about using Canvas, Kaltura or other technologies in your teaching? Our office can help you with one-on-one consultations and service matching. Our office can connect you with the multimedia, technology, and training resources you need. Contact us to schedule a one-on-one consultation meeting. 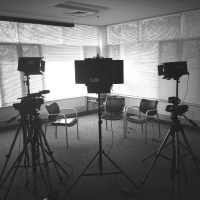 Borrow equipment such as cameras, video cameras, microphones, lighting kits, tripods, green screens, etc. The DPS team draws from a variety of professional backgrounds and skillsets including Instructional Design and Technology, Multimedia Production, and Project Management. We are passionate about digital storytelling and creating great educational experiences.